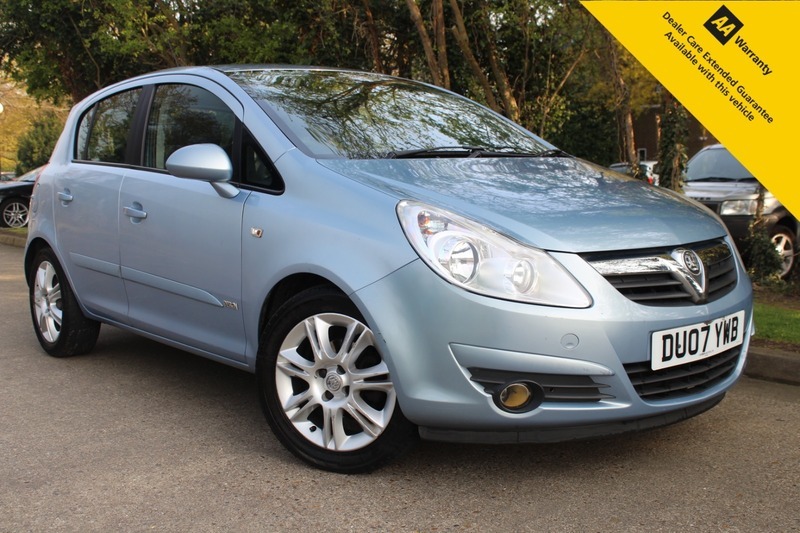 Here for sale at Leigh Cars Ltd we have a lovely example of the popular Vauxhall Corsa 1.2 5dr Design, finished in metallic blue. This particular comes with air conditioning, electric windows, central locking, electric mirrors, half leather interior, alloy wheels + much more. The last MOT was advisory free, this should make someone a lovely runaround. This car is ideal for a first time driver or maybe just a 2nd family car. With low insurance costs, £140 road tax per year and an impressive 48.7mpg, you can see why these are so popular. These Vauxhall Corsa's do not stick around long, so book in your test drive today or reserve me online to avoid any disappointment. As we are an AA accredited dealer you will receive 12 months complimentary AA roadside assistance. AA warranty packages available up to 3 years and superb low rate zero deposit finance deals available today. Why not give us a call or visit our website finance calculator to see how affordable your new car could be.